The main course at Hinksey Heights opened in 1996. 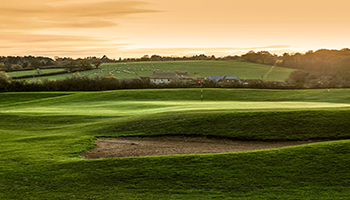 It has a earned a reputation for challenging good golfers and rewarding those of all abilities with 18 holes of quality golf combined with unique and spectacular views of the Dreaming Spires of Oxford. There are good learning and practice facilities including an on-site driving range, putting green and chipping green. We have a loyal membership and new members of all ages and abilities are always welcomed into the club. For visiting players our green fees are excellent value and we offer special packages for golfing societies and corporate days. For new and developing golfers, lessons can be arranged with our friendly Golf Professional, David Cook, either at Hinksey Heights or The Oxford Golf Centre. 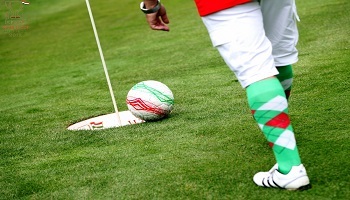 Our "alternative golf" course, separate to the main golf course, is home to our critically acclaimed 18 hole Footgolf course and Europe's first 18 hole Rugbygolf course and offers something for everyone. It is great fun for families and serious competitors and is building a healthy reputation amongst serious players. The Hinksey Heights Nature Trail starts from the main car park and is free for all to enjoy. All visitors are warmly welcomed in our clubhouse, The 19th Hole, whether engaging in our activities or just passing by. There is a licensed bar serving hot and cold drinks, breakfasts, lunches and snacks. Our mission is to provide access for all in the local community to golf, footgolf, rugbygolf and our stunning nature trail. We are proud to provide unrivalled value for money amongst golf courses in Oxfordshire and an informal, friendly and relaxed experience to be enjoyed by all! Click here to see the other nine. What other people are saying about us, our courses, services, and staff. "Let's first start by saying how friendly the staff are. The course is challenging but gives you a chance. Greens run true but undulations make every putt a difficult one. Great views of Oxford made the whole day an enjoyable one. Thanks to all the team. Many thanks as I will be passing this onto other golfing friends." "A lot of work has been done to improve the course. Fairways are good, greens true, rough has been cleared and the battle against the elements and burrowing creatures is being won bit by bit, thanks to sterling work by the green-keepers. It offers enjoyable golf. The view from the 18th tee provides one of the most spectacular panoramic vistas, certainly in Oxfordshire, and probably in the whole of the UK. Come and try it!" "This course is maturing well and continues to improve. If you have not played before, this is a links style course that is rarely without breeze. No two holes are the same and the contours of the land have been used to great effect. The views of Oxford, its spires and surrounding countryside will not disappoint. Whether or not you have played this course before, it's definitely worth a visit. A good test of golf whatever your handicap." 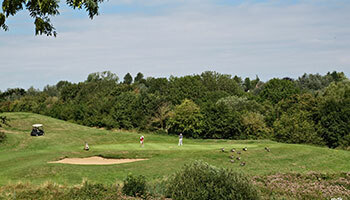 Set just on the edge of the city of Oxford, visitors, business people and residents can enjoy their game in one of the most outstanding areas of beauty in the Thames Valley. Come and see for yourself why we are the best value for money golf course in Oxfordshire! © 2019 Hinksey Heights Golf Club. All Rights Reserved.